Multiple sclerosis fatigue linked with poor sleep and task length. Whether we have multiple sclerosis (MS), or not, all of us feel some level of tiredness or fatigue at some point in our lives. However, multiple sclerosis fatigue is different from “normal” tiredness. People without Multiple sclerosis have no problem in doing simple tasks such as going to the bank or going to the grocery store. But for individuals with MS, the fatigue can make even such simple tasks almost impossible. MS related fatigue is the most common of all MS symptoms, with more than 90% of people affected by MS reporting MS fatigue in some studies. But problem is that multiple sclerosis patients, accept fatigue as a normal part of their life, and feel it is not important enough to mention to their doctors. Even Health care providers may overlook MS tiredness and MS exhaustion concentrate more on the physical signs and symptoms of MS, such as weakness, mobility problems spasticity, and vision problems. n a recent study, Lauren Strober PhD studied the link between secondary fatigue in MS patients and sleep. Dr. Strober is a senior research scientist in Neuropsychology & Neuroscience Research at Kessler Foundation, and an assistant professor of physical medicine and rehabilitation at Rutgers New Jersey Medical School. Her current research focuses on the impact of MS on employment of individuals with MS, a group with unemployment rates as high as 80%. According to Dr. Strober, fatigue hampers daily functioning and well-being. It clearly disrupts a person’s ability to participate in the community and the workplace. She believes that by determining what contributes to fatigue in MS patients, we can keep people engaged in work and social activities and improve their quality of life. As part of her study Dr. Strober analyzed 107 employed individuals with multiple sclerosis. She found that 61% of them reported poor sleep. On further probing she found that sleep disturbances accounted for 25% of the variance in fatigue while depression accounted for another 7%. Multiple Sclerosis manifests with two types of fatigue – primary fatigue and secondary fatigue and a close look at these two will answer the question – why does MS cause fatigue? Primary fatigue is a direct result of multiple sclerosis and could be caused by inflammation, demyelination or other damage to the central nervous system which includes several areas in the brain or spinal cord. Scans reveal that people who have fatigue use larger areas of the brain to carry out activities when compared to people without fatigue. The researchers believe this is because the MS affected brain is finding new routes to deliver the messages when the usual routes have been clogged by the damage. Finding new routes to carry out an action is energy-intensive as well as energy-consuming and this might be causing the fatigue. However, these are just hypotheses, and the team does not know for sure if there is an exact link between nerve damage and fatigue. At least, not as yet. The team is also aware that, their ‘new route theory’ does not rule out other processes in the brain and spinal cord that could also lead to the fatigue. 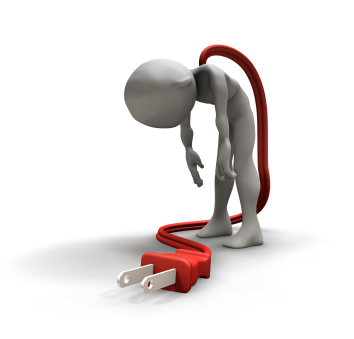 Secondary fatigue is the result of factors that may be related to MS, but are not MS itself. These include: Depression, stiffness, pain, tremor, muscle weakness, all of which could lead to feelings of fatigue. The first step is to identify the factors contributing to the fatigue. A doctor can help in doing a comprehensive evaluation and also will map out a strategy to suit your individual needs. The next step is to evaluate your own energy levels. Think of your energy stores as a bank. Deposits and withdrawals have to be made over the course of the day to balance energy conservation. It is a good idea to maintain a diary for one week to determine, which part of the day you feel most tired, which part of the day you feel energetic, what factors cause the fatigue, and your sleep patterns. Occupational therapy will help you simplify tasks at work and home. You can start physical therapy to learn energy-saving ways of walking and performing other daily tasks. Physical therapy will also help you develop a regular exercise program. Take some sleep medication for a short while – maybe a week or two – to regulate your sleep. Of course, if you have other problems that are causing poor sleep (bladder problems, spasticity, body pains), you’ll have to address those problems first. If you are mentally or physically under a lot of stress, psychological interventions, such as stress management, relaxation training, membership in a support group, or psychotherapy could help. Another highly recommended management for MS fatigue is heat management, whereby you learn how to avoid overheating your body and mind and help you cool down. And finally, speak to your doctor about your fatigue and he’ll help you with the necessary medication.